Bernice Nathaniel Medlin, 82, passed away Tuesday evening at Wilson Medical Center. Bernice was born in Wilson County on September 4, 1936 to the late Nathaniel and Hadie Mae Lewis Medlin. He was a retired truck driver where he was able to spend many times out on the road seeing different areas of the country and making friends along the way. The family will receive friends on Friday, February 8, 2019 from 6:00 p.m. until 8:00 p.m. at Kenly Funeral Service. 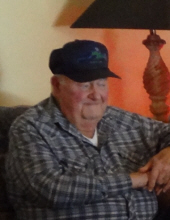 A service to remember his life will be held on Saturday, February 9, 2019 at 1:00 p.m. by the graveside at the Kenly Cemetery. Bernice is survived by his sisters, Mary Medlin Lamm and husband Dwight of Wilson and Nola Medlin Braswell and husband Bobby of Wilson; several nieces and nephews, and many special friends including Glennie Barnes of Kenly. In addition to his parents, he was preceded in death by his sister and brother-in-law, Ruby and Clarence Stewart. To send flowers or a remembrance gift to the family of Bernice Nathaniel Medlin, please visit our Tribute Store. "Email Address" would like to share the life celebration of Bernice Nathaniel Medlin. Click on the "link" to go to share a favorite memory or leave a condolence message for the family.